If you spend a lot of time in your backyard, either alone or with your family and friends, consider adding a fabulous arbor to your space. An arbor will increase the beauty of your property, can provide functionality, and will also add significant value to your home. Highlight a Garden Entry — For homes with an outdoor flower or vegetable garden, an arbor can define or enhance the entry into that space. An arbor, constructed with latticework in a traditional arched design or a more modern flat-topped shape, will add a gorgeous aesthetic to your yard. Allow ivy or even climbing roses to decorate the structure for additional beauty and interest. Create a Passageway — A large arbor can also create a remarkable tunnel-like passageway to guide visitors down a path leading from your gate to the patio or any other destination in your backyard. 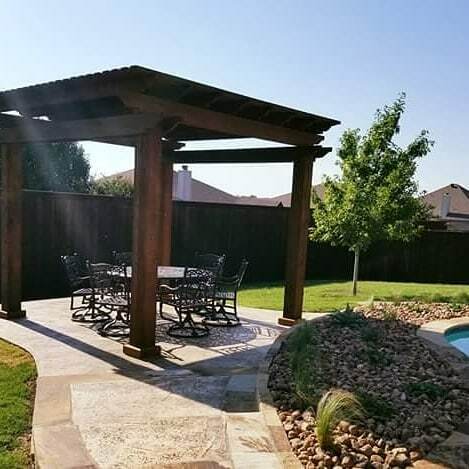 Such an arbor will add height to your yard, so it doesn’t appear as flat, and the design can match the architectural style of your house, making it look as if it has always been there and a part of your home. Provide Shade and Shelter — During the hottest months, an arbor covered with ivy will provide shade so that you can spend even more time outside. An attached or freestanding arbor made from stunning-looking wood and covered in vines can also provide shelter from light rain showers. Place benches or other seating under the arbor to enjoy the environment in comfort while sitting in solitude or while spending time with others. An arbor, available in various styles to meet your needs, will give a custom look to your home’s exterior that you will love all year around. For more information about arbors or other custom features for your home’s exterior, please contact us today.